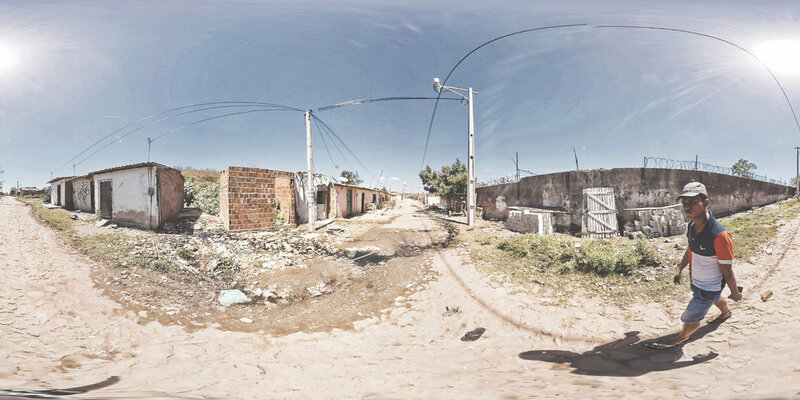 This interactive VR Video project allows the viewer to interactively navigate around the favela within a VR headset, using the gaze, to experience life on the streets, to visit homes, schools and even drop in on a ballet class. This type of real-space non-linear storytelling had never been attempted before and was both challenging and liberating to create. Shot on a shoestring over three days, the UK and Swedish production team captured 360 scenes in over 40 locations around the favela, recorded a dozen interviews and captured footage for six short linear 360 stories. .
An early prototype of the project premiered at UN's Habitat 3 Conference in Quito and was shown at NY Times Energy For tomorrow in Paris. We also returned to Gereba to share the VR Storyscape with the residents of the favela.